Toronto Dogs Directory: Do You Have Gently Used Dog Collars? Help By Donating To "Collars For Cancun"! Do You Have Gently Used Dog Collars? 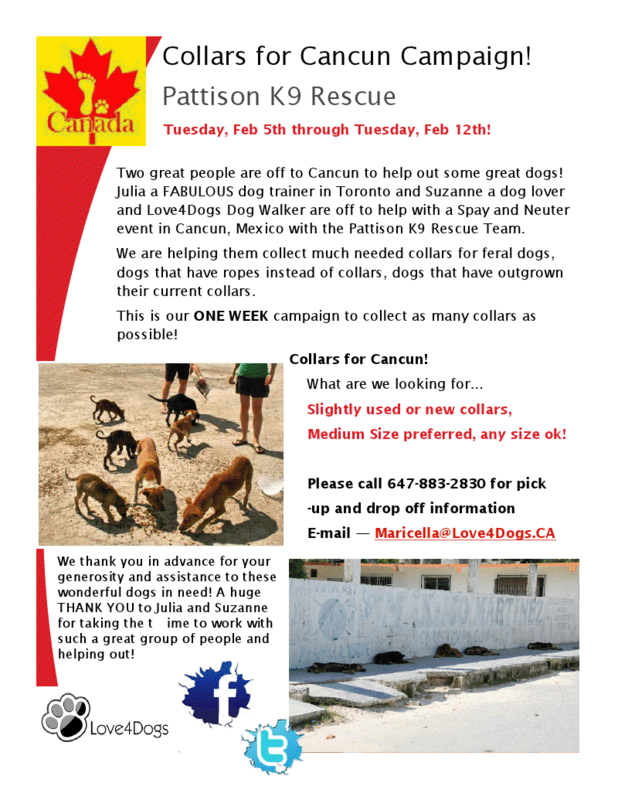 Help By Donating To "Collars For Cancun"!